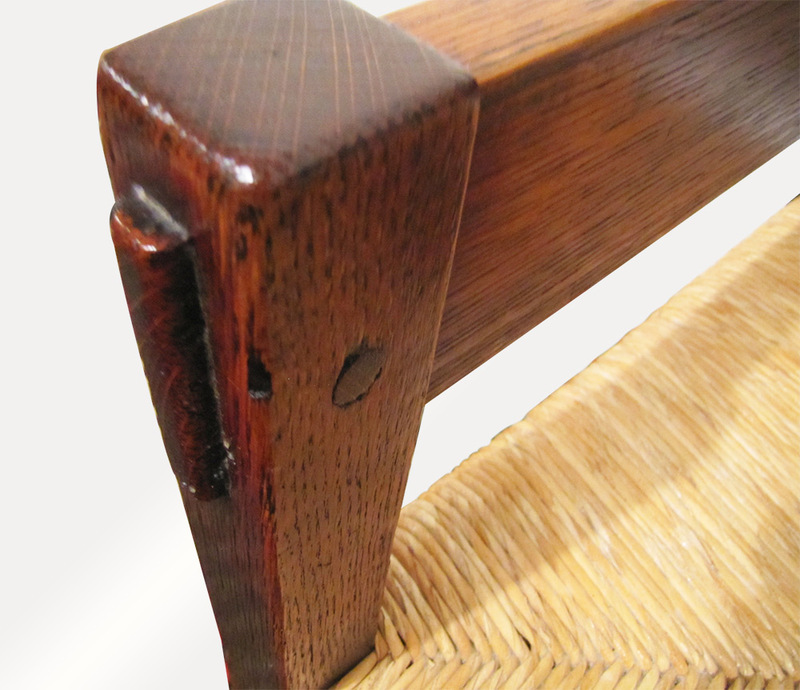 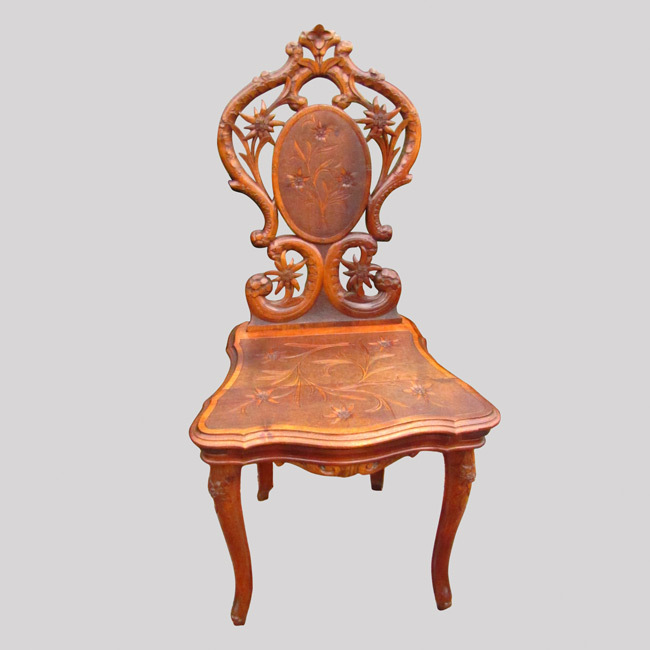 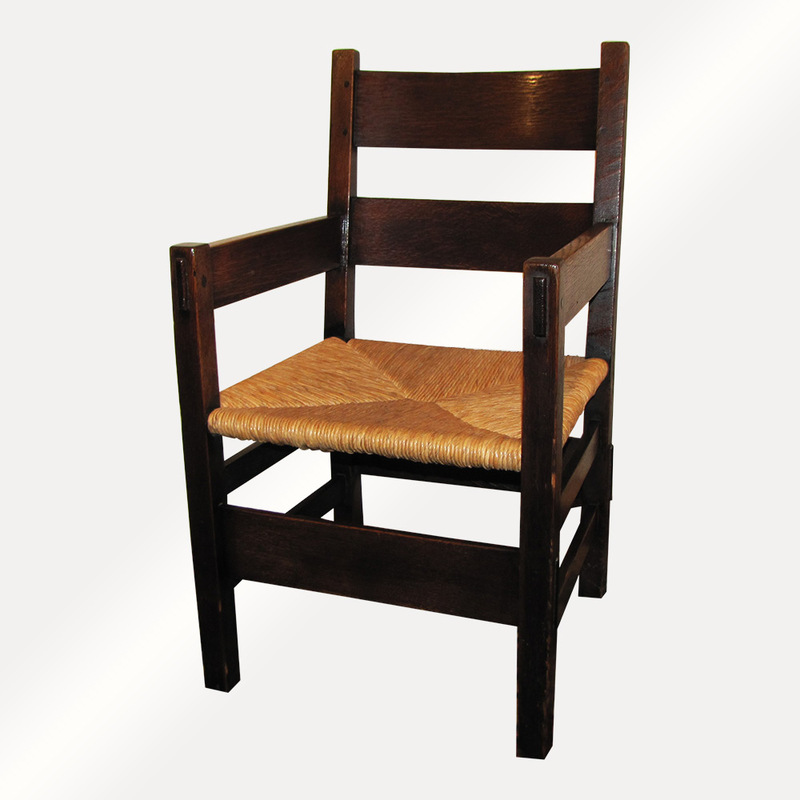 This is a Superb Early Gustav Stickley Thornden Arm Chair from 1903-1904. 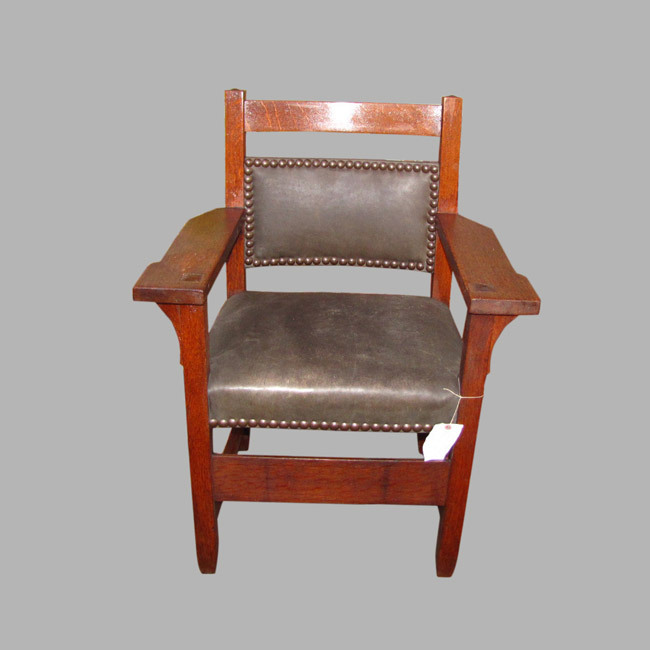 This is a great looking chair that is in excellent condition. 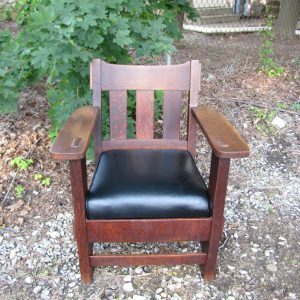 This chair has the original fume black finish. 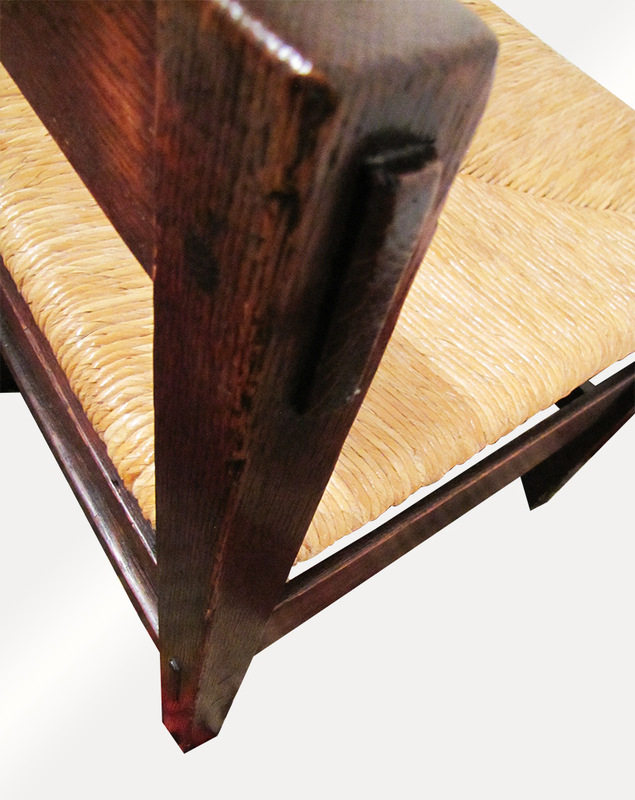 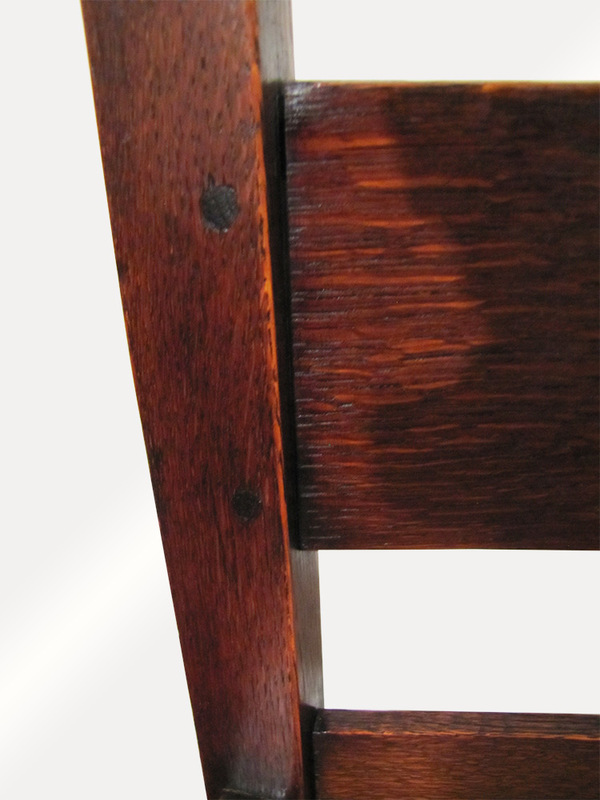 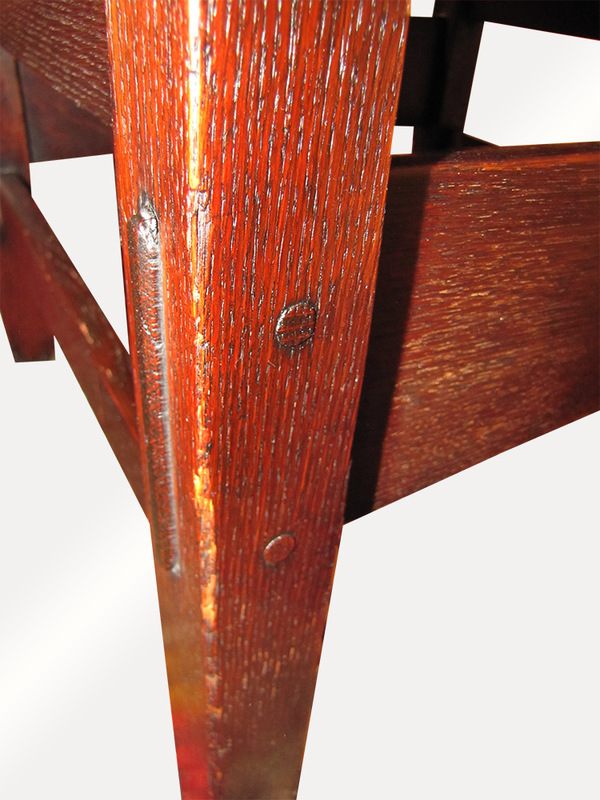 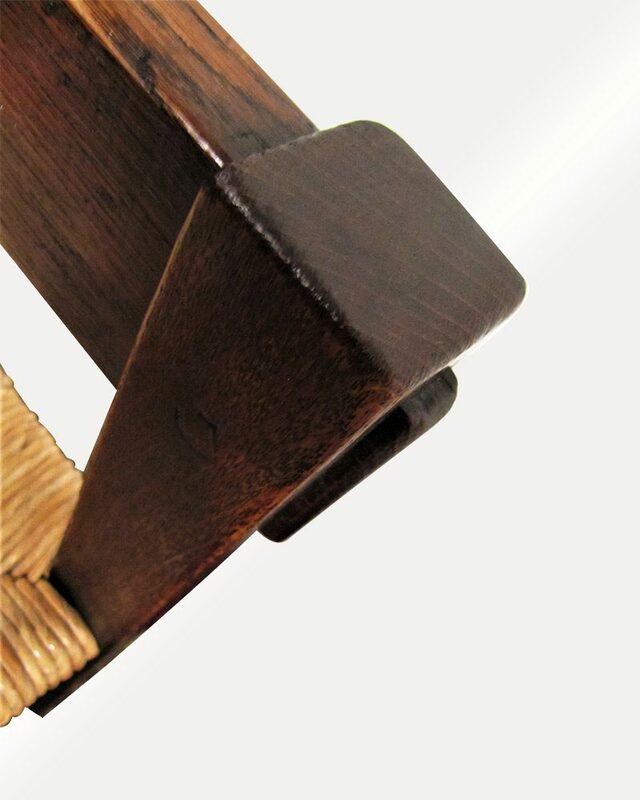 The chair has a through tenon and pinned construction on the front and the sides. 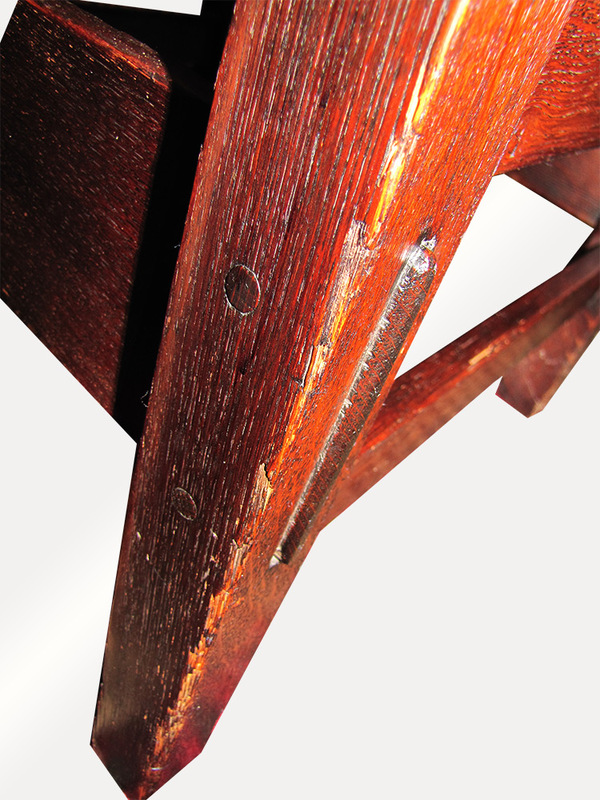 There are 6 through tenon and pinned joints in the chair. 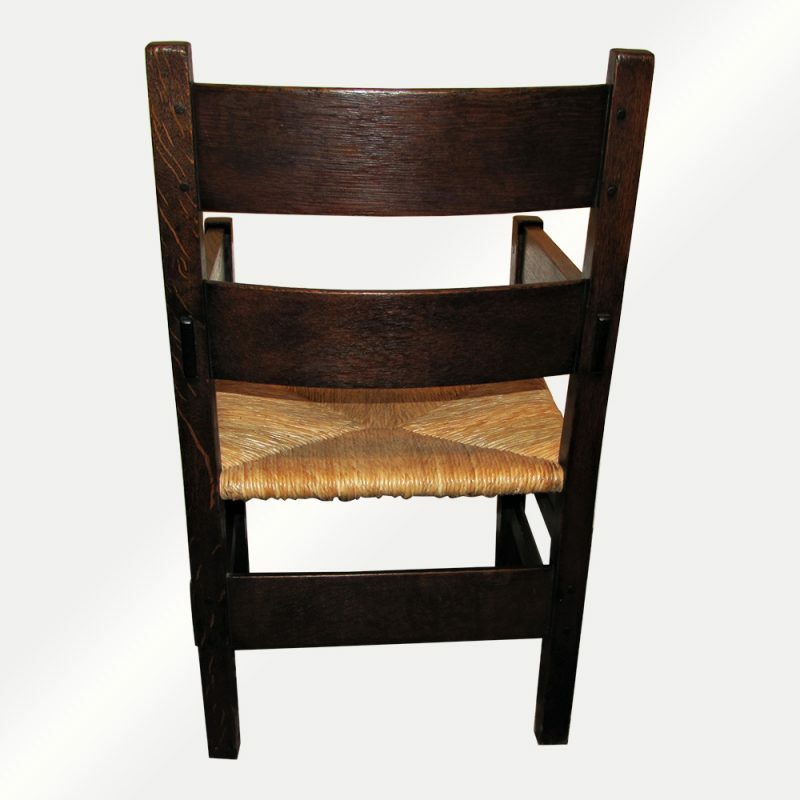 The wood selection is very bulky compared to other chairs that Gustav made. 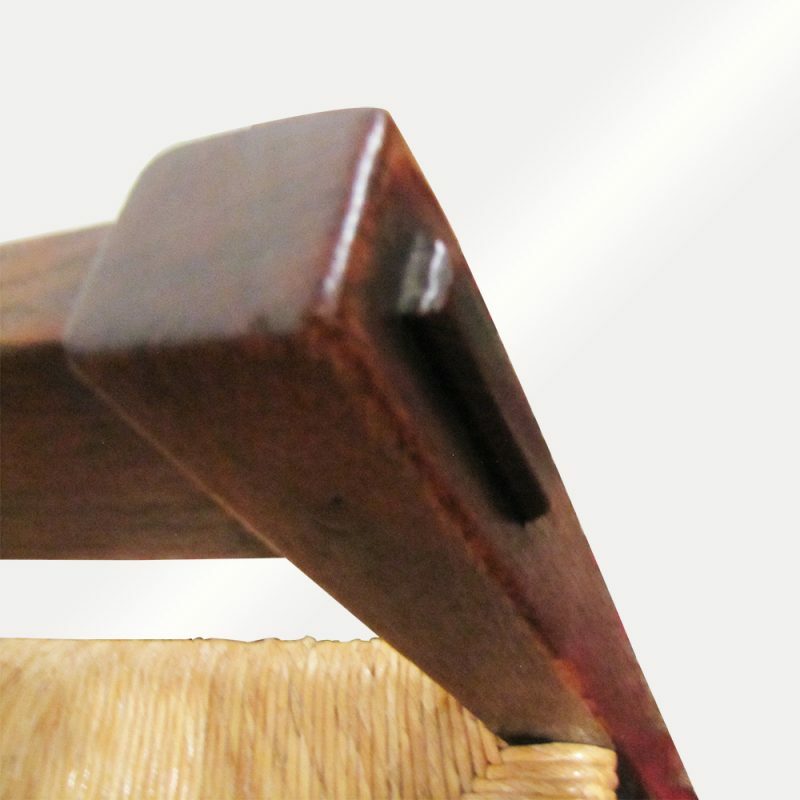 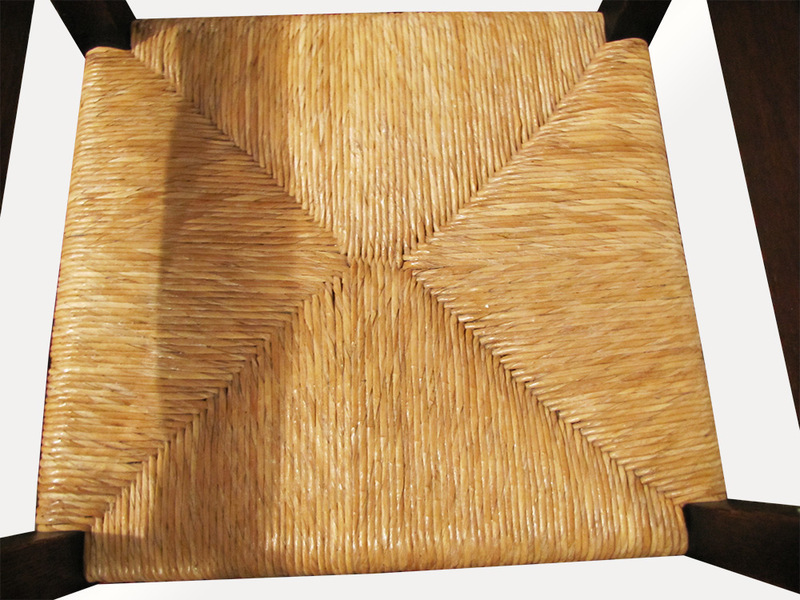 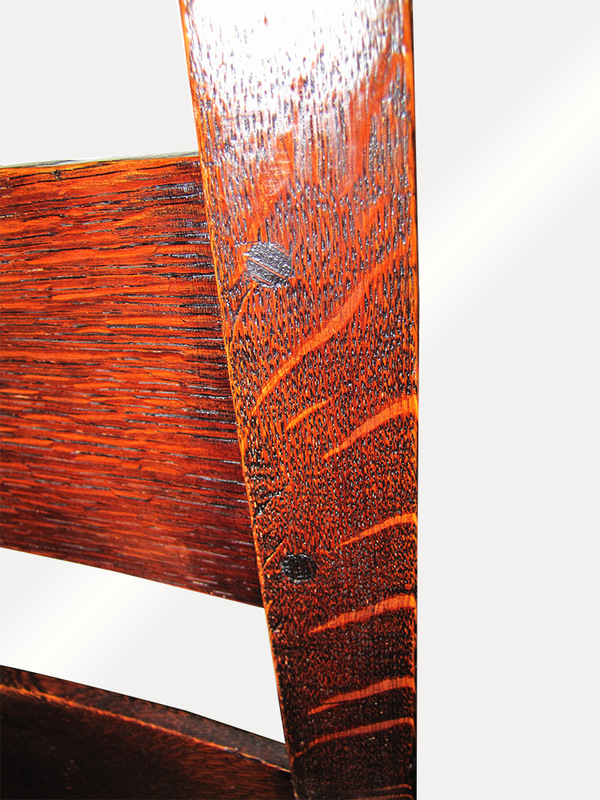 The backrest of the chair has extremely wide boards which make the chair look very nice. 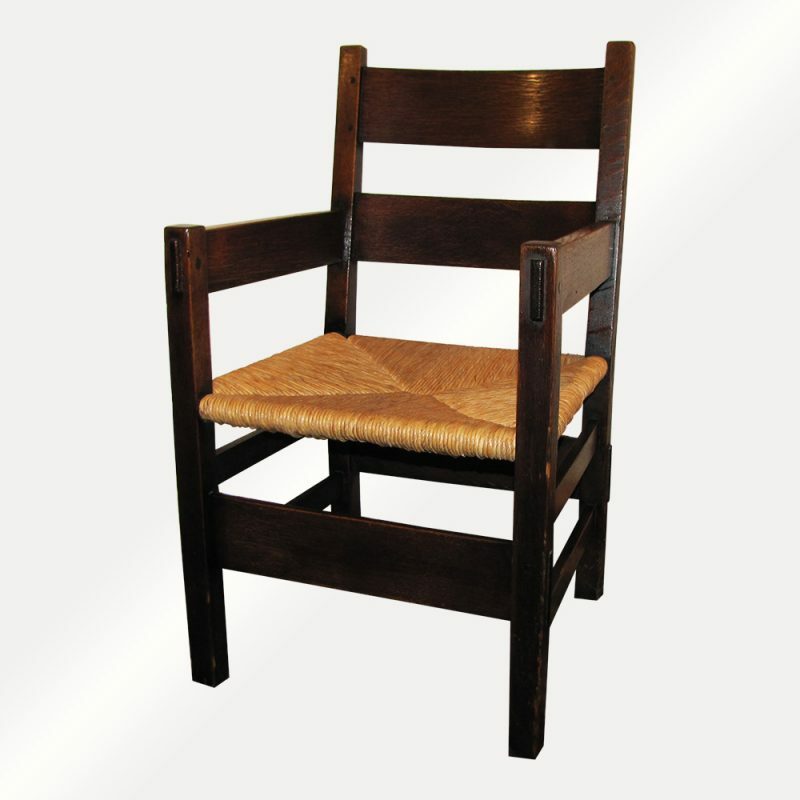 This is a study and strong piece of furniture and this truly is a great chair. 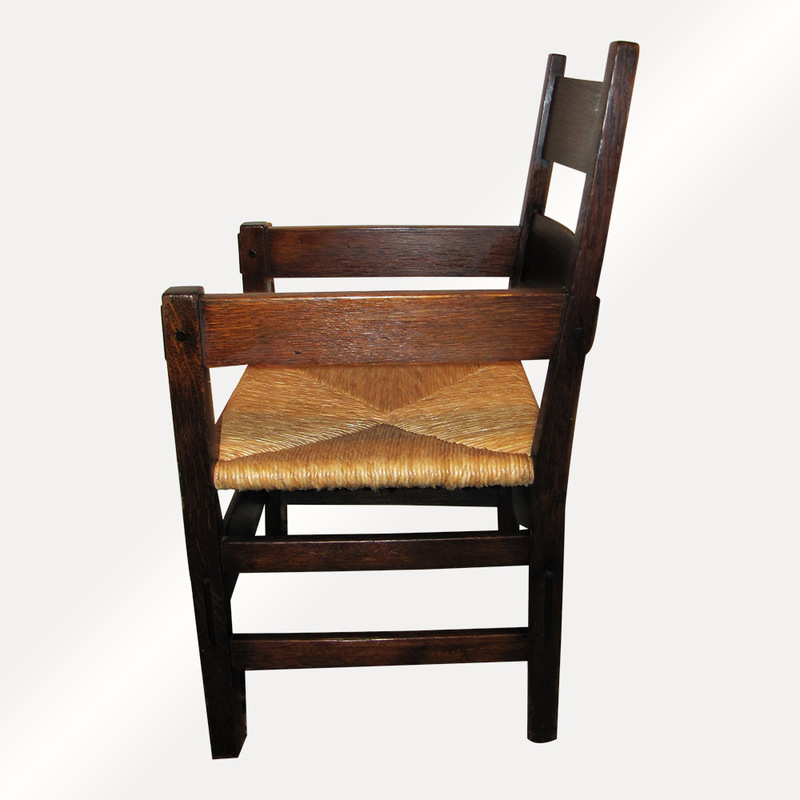 We do have two other chairs in this same style and 4 fume black Thornden dining chairs. 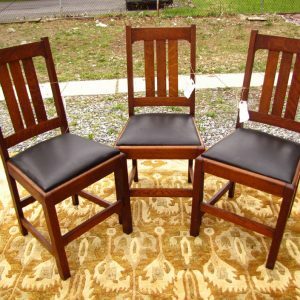 If you want to buy more than one chair please let us know and we can combine shipping to save you money.